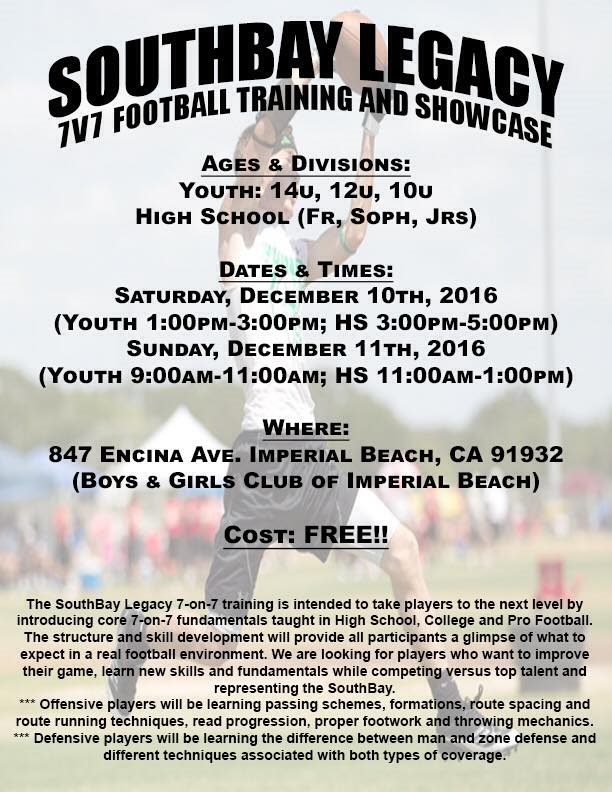 Sign-up Now for the South Bay Legacy 7V7 Football Training & Showcase at the IB Boys & Girls Club Starting in December! Sign-up Now for the South Bay Legacy 7V7 Football Training & Showcase at the IB Boys & Girls Club Starting in December. Various Ages Groups For 10 up to 17 Years Old.